Four Colorado School of Mines students are seeking to create lasting change on campus as the newest University Innovation Fellows under the mentorship of Mines alumnus Corey Brugh’16, who was the first to take part in the national program. 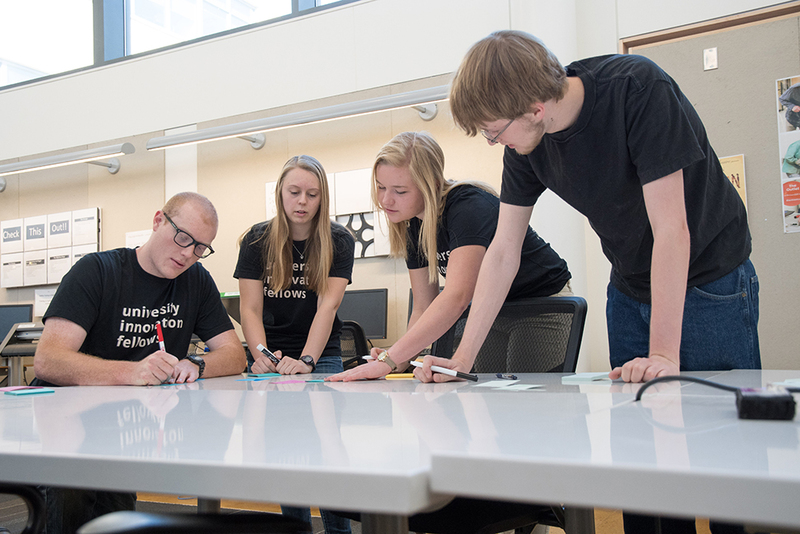 Emma May, computer science; Tanner McAdoo, metallurgical and materials engineering; Sarah Ingram, chemical and biochemical engineering; and Sam Warfield, electrical engineering, underwent six weeks of training earlier this year on design thinking, the lean methodology and how to map their entrepreneurial campus ecosystem. 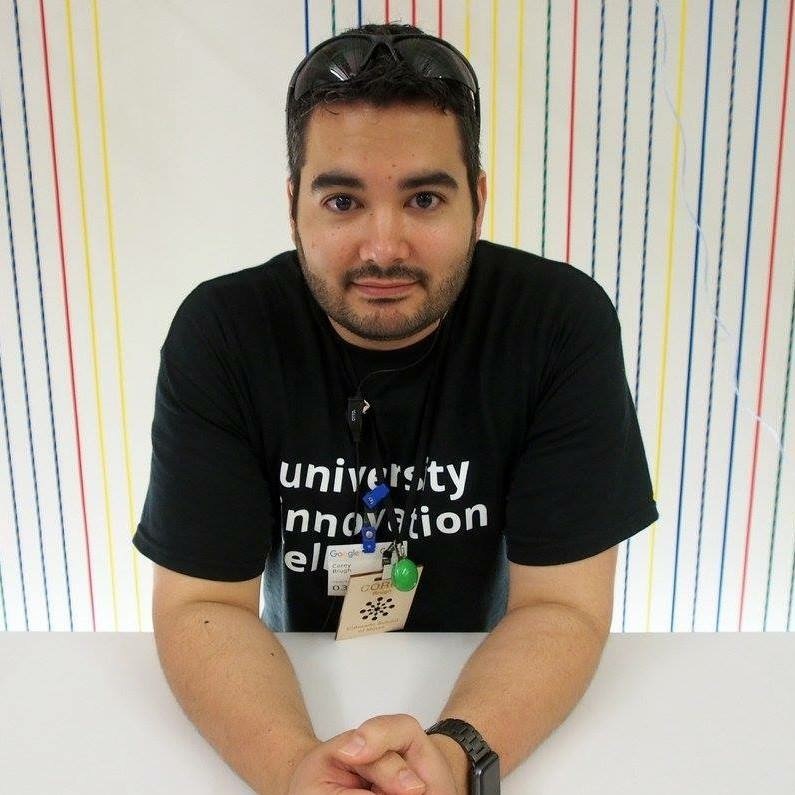 Brugh, who was named a University Innovation Fellow in 2014, provided the team with mentoring, encouragement and connections. “This program has changed my life, and it is my responsibility to give back,” he said. Brugh earned a bachelor’s degree in chemical engineering and is now a research and development engineer with Procter & Gamble. Initiatives Brugh helped start at Mines include a relaunch of the Entrepreneurship Club, creating a learning community around the theme of Engineering Grand Challenges, establishing maker spaces, TEDxCSM, organizing the first innovation competition at Mines and identifying his successors as University Innovation Fellows. In addition to reaching out to the latest cohort of fellows during their training, Brugh also met with the four students during the program’s Silicon Valley Meetup, held March 9-13 at Stanford University’s d.school, which brought together 350 students and faculty members from 80 colleges and universities around the world. He shared his experience as a fellow with the entire group. Ingram said she is excited to pursue a plan to implement a creative space on campus “for students to exercise the right side of their brain, while also having the chance to relax and de-stress.” She also hopes to work with the different cultures on campus to create more of a community feel. May said Brugh has pushed her to think bigger. “He has very high expectations for us, and these expectations push me to work harder and dream bigger for Mines,” she said.